As reported at the time, and consistent with the Hudson report, then FEMYSO Vice-President Kherigi announced a new campaign aimed at developing what “a pan-European youth-led Green Muslim movement. A NEFA Foundation report identifies FEMYSO as the youth/student arm of the Federation of Islamic Organizations in Europe (FIOE), representing the Muslim Brotherhood in Europe. Over the years, FEMYSO has developed a relationship with both the Council of Europe and the European Commission where it has been invited since 2003 to attend meetings of the Group of Policy Advisers (GOPA). One of the important leaders of FEMYSO over the years has been Ibrahim El-Zayat, the leader of the Muslim Brotherhood in Germany. 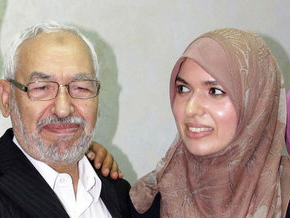 Michael Privot, a Belgian convert and former youth leader in FIOE who in 2008 had openly acknowledged being part of the Muslim Brotherhood, has written in his blog that he has “put an end to all my links and ties with the European Muslim Brotherhood.” Our post from yesterday identified two other FEMYSO leaders as children of important European Muslim Brotherhood leaders.